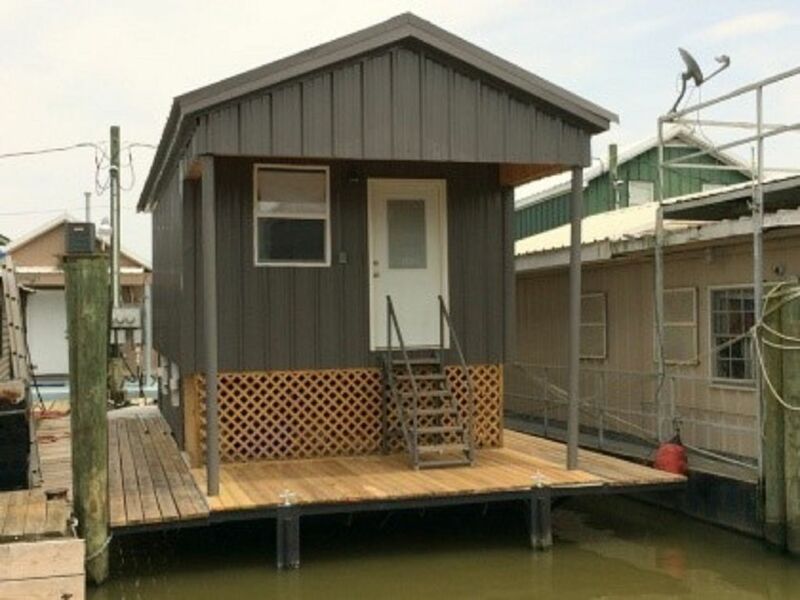 The Shack is Venice Louisiana's most affordable, comfortable and convenient House Boat Rental. The Shack is 25' wide by 40' long, two stories and holds up to 8 at a time. There is a large bunk room with 3 sets of bunks and two additional pull out couches upstairs. The Shack has all of the amenities a house boat should have, plus more. Thank you for the kind words! We certainly enjoyed having y’all stay w/us. Enjoyed having you stay w us! The Marina has all the basics including a small general store as well as a restaurant and bar. The houseboat was clean, organized, basic but exactly what I was looking for. Look forward to staying again in the future! Thanks for a great fishing vacation! The Shack is a basic inexpensive houseboat...a little rough around the edges but has everything you need if you're looking for a place to stay on a Man's fishing trip. Neil was great to work with on the stay...easy to communicate with and polite. The only knock would be the stairs to the bunk room are very steep so I would not recommend this for people with handicap disabilities. Ice machine worked well. Thu downstairs wasn’t as cool as the upstairs. Good place to stay when fishing. Owner was great to deal with and responded to all requests. Large ice maker was a huge plus. A small fish cleaning station would be a nice addition, but you can clean fish at the marina. Would book again.